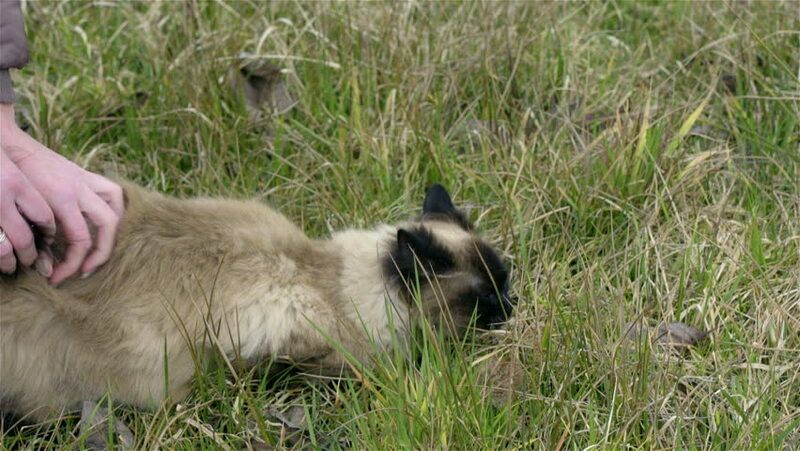 Cat in grass annoyed by female person 4K. Woman tickling cute cat with silky coat in green grass, kitty angry turning around and wants to bite hand. hd00:25Grizzly Bear female sow with triplet cubs eating grass in a forest meadow. Late evening capture. Three cubs stay close to their mother. hd00:10A close up of crown crane with a little chick.